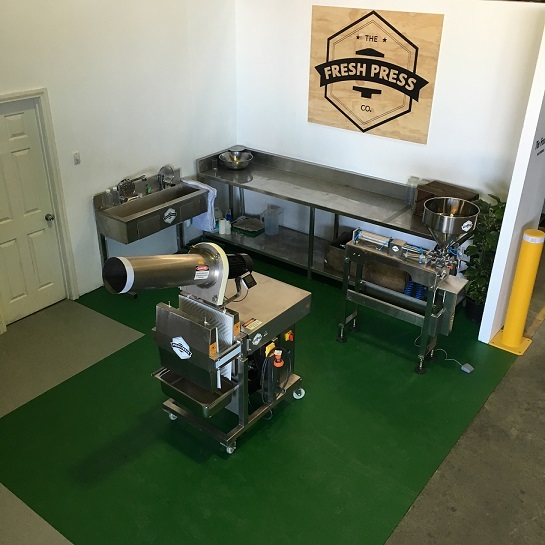 The Fresh Press Co. began manufacturing our industry leading cold press juicers back in 2012. It all started when a customer approached us with a problem – he needed a machine that could press the juice straight from fruit and vegetables to extract the maximum amount of nutrients, enzymes and natural goodness from his produce. So, utilising the expertise and experience of F.A. Maker – who’ve been making machinery in Australia since 1929 – our team came together and manufactured a prototype. To see if we’d achieved our mission, the customer returned with a box full of pineapples to put through the press. When he saw the result he couldn’t believe his eyes – within an instant fresh, cold-pressed pineapple juice began flowing like magic! That was the birth of our very first cold press juicer. From there, the team began sketching and designing newer, smaller versions that could fit neatly within juice bars, cafes and health food stores – while continuing to meet the exacting standards set by the Australian Food Services Industry. And word got around! Funnily enough, the first of these new machines was built for a customer in Chile – a real testament to the high quality standards we ensure in every model. In fact, The Fresh Press Co. now export our cold press juicers across the globe, with customers not just in Chile but in Denmark, Singapore, Indonesia, New Zealand and more! The FP100 is the latest cold press juicer manufactured by The Fresh Press Co. Based in Melbourne, we’re a totally Australian-owned and operated company that sell juicers which are locally produced and built to last!